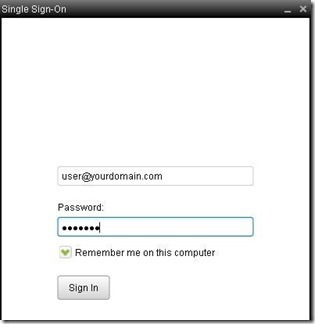 This article will assist you in setting up your Hosted exchange account from Insane Technologies. 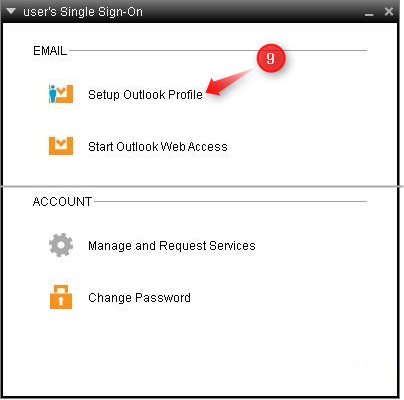 Single sign-on will create a new Outlook profile and adds all of the mailbox details that are needed to get your emails up and running. 1. 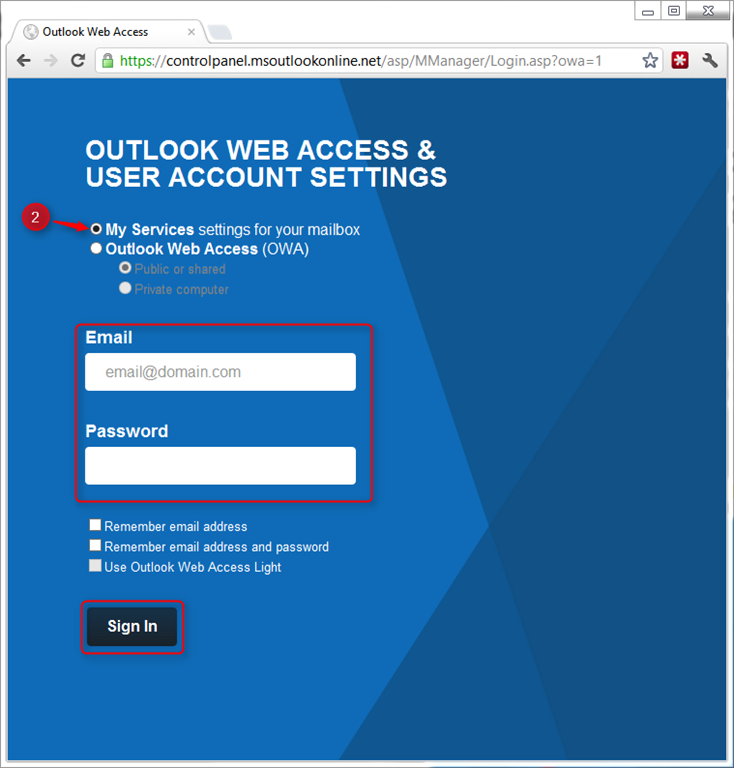 To access your user account settings go to https://owa.msoutlookonline.net in your web browser. 3. 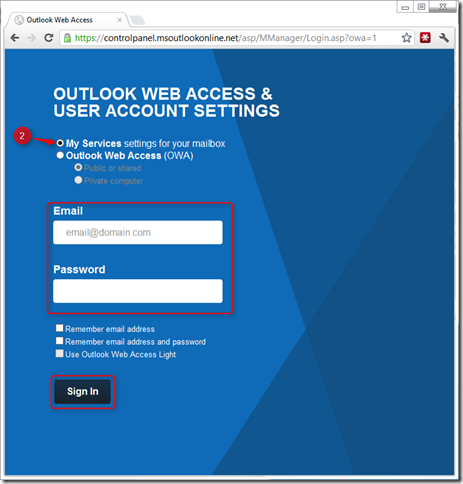 You will be redirected to the My Services page. 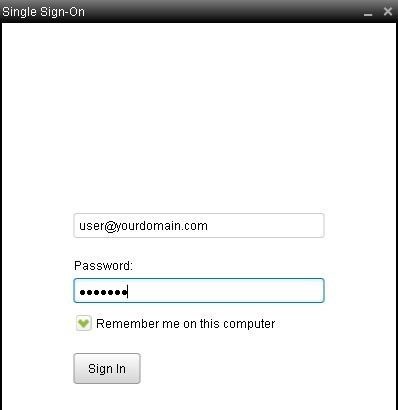 Click on Download & instructions. 4. Click on the Lean more & Download link. 6. 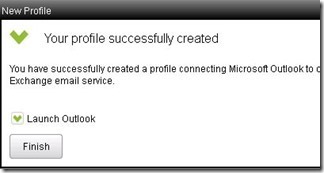 Download the software and install. 8. As soon as the application is started, you will be prompted to enter the email address and password for your Exchange user. 9. 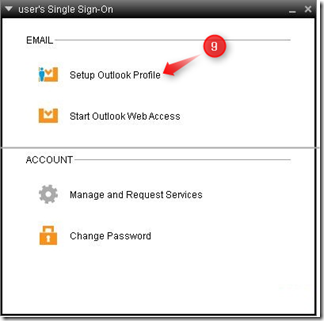 Once you have logged into the Single sign select the Setup Outlook Profile. 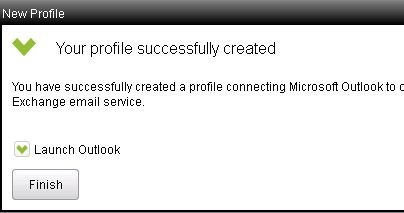 Follow the prompts and this will create a new profile and setup the mailbox. Please contact Insane Technologies if you require anymore assistance.